We would like to invite you for the 13th RAI INTERNATIONAL FESTIVAL OF ETHNOGRAPHIC FILM 2013, held from Thursday 13th June to Sunday 16th June 2013 in Edinburgh, Scotland. The festival is jointly hosted by the National Museums of Scotland and STAR (Scottish Training in Anthropological Research, a collaboration between the Universities of Aberdeen, Edinburgh, Glasgow and St. Andrews) and cosponsored by the Center for Visual Anthropology, University of Southern California. We are pleased to present an inspiring, very international programme of documentaries from around the world; several filmmakers have already confirmed their attendance! The programme is now available online - including film descriptions! Have a look around and start planning your days at the RAI FilmFestival! More information can be found on the festival website. Information on how to join the RAI can be found here. For further details of the scheme and information about how to apply see the MERL website or contact Ollie Douglas. What do we mean by 'art'? As a category of objects, the concept belongs to a Western cultural tradition, originally European and now increasingly global, but how useful is it for understanding other traditions? To understand art as a universal human value, we need to look at how the concept was constructed in order to reconstruct it through an understanding of the wider world. Western art values have a pervasive influence upon non-Western cultures and upon Western attitudes to them. 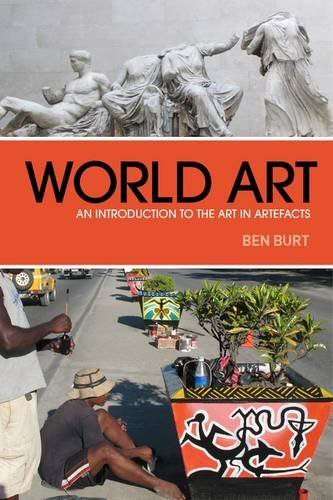 This innovative yet accessible new text explores the ways theories of art developed as Western knowledge of the world expanded through exploration and trade, conquest, colonisation and research into other cultures, present and past. It considers the issues arising from the historical relationships which brought diverse artistic traditions together under the influence of Western art values, looking at how art has been used by colonisers and colonised in the causes of collecting and commerce, cultural hegemony and autonomous identities. 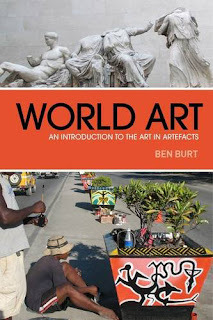 World Art questions conventional Western assumptions of art from an anthropological perspective which allows comparison between cultures. It treats art as a property of artefacts rather than a category of objects, reclaiming the idea of 'world art' from the 'art world'.